I hosted an XV Summer Simlympic. Bid cities are in Siam,Thailand. Slogan : The victory is one of friendship. Stadium in a match that follows. 1. If the selected winner of this host. To expand the competition. Close to the city. 2. If you win the selection of this host. Opening Ceremony. And the closing ceremony of the competition. Will be another special time. In the Bid of the city will survey the City of Siam, and nine cities of the city of 100 people (except the Central Siam survey 200 people) and it turns out that the people of Siam and nine towns of 1,000 people responded that it is. to encourage more tourism. They also approved the Bid of 1,000 people was completed. But if I am unable to disclose any more details. Before I leave for today. You use Paint, didn't you? Yes you can. 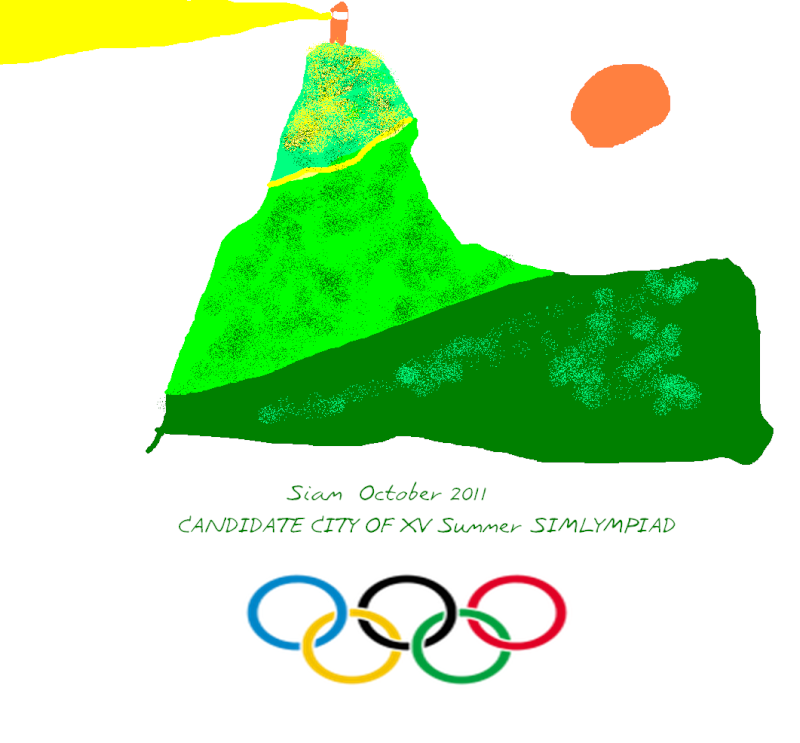 A city with a real-life country name hosted the II Simlympics in 2006, if I remember right. emperordaniel wrote: You use Paint, didn't you? Actually, I play Simcity 4 for a long time, but just to play again recently. I have a better question: how long have you played it with custom content? K50 Dude wrote: I have a better question: how long have you played it with custom content? Much better question, the game changes drastically when using custom content. cormiermax wrote: Much better question, the game changes drastically when using custom content. Canuck's post is the 24,000'th post on SimSports. It seems a bit repetitive and wasteland-ish, and the logo could really use a lot of work. Try filling out the development and using more variation. I wouldn't suggest bidding for the Simlympics until you're completely ready, and maybe something like a torch relay leg or a ISC session would be a better starting point. I'm okay with paint, but do a better job.